Dubai, UAE, August 31, 2016: Marked by generosity and giving, celebrate the spirit of community this Eid al-Adha by coming together with a personal gift from Cocosia Artisan Chocolates. 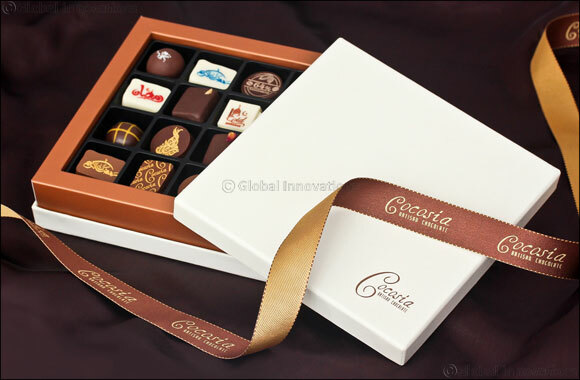 Hand-crafted in the UAE using only the finest ingredients, Cocosia prides itself on producing the highest-quality chocolates and bespoke chocolate gifts, which can be engraved and personalised to suit any requirements. This Eid al-Adha, chocolates have been created with delightful Arabic detailing and come in an array of dark and white chocolate flavours perfect for combining with the key Cocosia collections or the sweet and delectable local dates to make a wonderful gift for family and friends. Gift boxes can be created in a variety of sizes from subtle pairings through to deluxe and can be hand-pick to suit your needs. To select your chocolates simply visit the Cocosia boutique or contact Cocosia Artisan Chocolate for an appointment to discuss your bespoke requirements. Above: 16 piece red luxury box: AED140; 16 piece regular box: AED110.